Back in the days of the Cold War between the Communist bloc of nations and the Western democracies, the Communists maintained pervasive restrictions around Eastern Europe that were aptly called an "iron curtain," isolating the people in its bloc from the ideas of the West and physically obstructing their escape. One of the few things that could penetrate the "iron curtain" were ideas conveyed on radio waves. "The Voice of America" network broadcast to the peoples of the Soviet bloc, so that they were never completely isolated, and hearing only what the Communist dictatorships wanted them to hear. Ironically, despite the victory of democracy over dictatorship that brought the Cold War to an end, within American society there has slowly but steadily developed in too many of our own colleges and universities a set of restrictions on what can be said on campus, either by students or professors, or by outside speakers with views that contradict the political correctness of our time. There is no barbed wire around our campuses, nor armed guards keeping unwelcome ideas out. So there is no "iron curtain." But there is a curtain, and it has its effect. One effect is that many of the rising generation can go from elementary school through postgraduate education at our leading colleges and universities without ever hearing a coherent presentation of a vision of the world that is fundamentally different from that of the political left. There are world class scholars who are unlikely to become professors at either elite or non-elite academic institutions because they do not march in the lockstep of the left. Some have been shouted down or even physically assaulted when they tried to give a speech that challenged the prevailing political correctness. 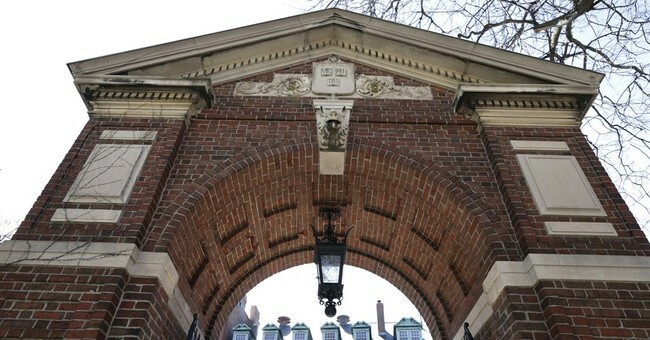 Harvard is just one of the prestigious institutions where such things have happened -- and where preemptive surrender to mob rule has been justified by a dean saying that it was too costly to provide security for many outside speakers who would set off campus turmoil. Despite the fervor with which demographic "diversity" is proclaimed as a prime virtue -- without a speck of evidence as to its supposed benefits -- diversity of ideas gets no such respect. Students taught economics by Keynesian economists are unlikely to hear about the 1921 recession, with double-digit unemployment, where the government did nothing, and unemployment fell by more than half, as the economy recovered on its own. Nor are they likely to learn how grossly misleading are many of the income statistics cited to justify the agenda of the left. As economist Alan Reynolds put it, many people "form very strong opinions about very weak statistics." Students are unlikely to go through college without being assigned to read "The Communist Manifesto" -- often in more than one course -- while a classic like "The Federalist" is seldom assigned reading, even though it is a very readable and profound explanation of the principles on which the Constitution of the United States is based, written by three of the men who actually wrote the Constitution. On the racial front, landmark studies like "America in Black and White" by Stephen and Abigail Thernstrom are unlikely to see the light of day in courses or even on college bookstore shelves. While there is no "iron curtain" around our campuses, there is a curtain, and its effects are dangerously close to the effects produced by the "iron curtain" around the Soviet bloc. What is lacking is anything like the Voice of America broadcasts to pierce the academic curtain. In an electronic age, there are plenty of sources from which forbidden facts and suppressed views can be beamed into the many electronic devices used by college students. There are many recorded speeches and interviews of outstanding thinkers, from the past and the present, with viewpoints different from the prevailing groupthink on campus, and these can be presented directly to students with electronic devices. Someone from the real world beyond the ivy-covered enclaves would have to do it. And it is not yet clear who would do it or who would finance it. Perhaps some of those donors who have kept on writing checks to their alma maters, while the latter surrendered repeatedly to ideological intolerance, might consider such a project. Campus mobs could not shout down thousands of scattered iPads.